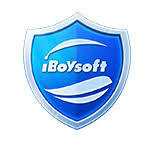 iBoysoft File Protector 2.0 was available as a giveaway on May 19, 2018! How would you improve iBoysoft File Protector 2.0? Never install a giveaway of file locking software that only works for 1 year. After which you have to pay for it to function. Or else you lose all your files locked using the file lock software. 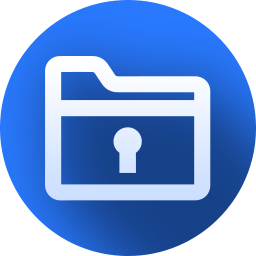 If you want to pay, there are many much better file&folder lock software. Other users have exposed that this particular software is easily bypassed/unlocked, simply by using another Windows. That means it is of no use at all, as a "locking" software. Never install a giveaway of file locking software that only works for 1 year. After which you have to pay for it to function. Or else you lose all your files locked using the file lock software. If you want to pay, there are many much better file&folder lock software. .. Other users have exposed that this particular software is easily bypassed/unlocked, simply by using another Windows. That means it is of no use at all, as a "locking" software. ... "BUTI started another Windows on that machine and could access all files and folders. Maybe the program only protect folders and files in the same Windows"
2. This clearly IS the problem with most of such products: they use a filter driver (ore similar techniques) to do the job... but from any other OS (or as well from a Windows PE) this driver is not there (not active) and your files are unprotected, whit full, unrestricted access! keep away from this (beside you are interested in testing for yourself...). At least this is not more than a gimmick - and no serious software. But it could become thrilling or even kind of horror in above mentioned scenarios. Same Version number as last year ... - so: If they have not changed their program, here arre some no-goes: 1. Last time "Ootje" wrote among others: ... "BUTI started another Windows on that machine and could access all files and folders. Maybe the program only protect folders and files in the same Windows" 2. This clearly IS the problem with most of such products: they use a filter driver (ore similar techniques) to do the job... but from any other OS (or as well from a Windows PE) this driver is not there (not active) and your files are unprotected, whit full, unrestricted access! 3. Even for mere "average users" there could rise a serious problem: Accidential updating the software (or, too, when the license had run out???) those people have no clue how to access their data (not knowing about point 2. ) So my verdict ist: keep away from this (beside you are interested in testing for yourself...). At least this is not more than a gimmick - and no serious software. But it could become thrilling or even kind of horror in above mentioned scenarios. What will happen to the folders that I will have locked after the 1 year use of this trial program? teo, just uninstall the expired program and voila your files are still there not hidden or protected or encrypted in any way... it just uses "rootkit" technology to conceal the "protected" files that any other tool with similar ring0 access can always see. It's just programatic deception for the operating system its installed on, uninstall it and the deception goes away and the operating system sees all again. Ransomware that elevates its rights to ring0 will be able to see past this tools filter driver inserted into the installable file system driver chain and encrypt what it wants, it will only protect against obsolete unsophisticated ransomware, not state of the "art" ransomware. Thank you, TK, for sharing your such impressive computer knowledge. I find your comments to be very helpful.